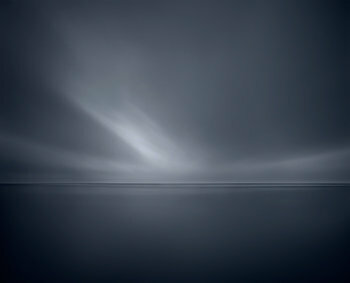 Kenneth Rimm Gallery is a online fine art photography gallery based in Copenhagen Denmark. We specialize in the sale, and exhibition of contemporary fine art photography prints, by Danish photographer Kenneth Rimm. Like other photography galleries, we have a number of public exhibitions, but our main focus is online sale of limited edition photographs, as well as personal presentations for private collectors, interior designers etc. The gallery offers a selection of Kenneth Rimm’s personal portraits, nudes & abstract landscape photographs, created over the years. We like to work closely with our clients, and welcomes experienced collectors, as well as those just starting out collecting photographic art prints. Please contact us for further information, regarding pricing, available print editions, or any other questions you may have. Prints are made in limited edition, mostly in two editions such as 40 × 50cm in edition of 1/10 and 70 × 90 cm edition of 1/7. These sizes and editions are indicative only. Some images are available in 3 editions, as well as in larger sizes. What type of prints does Kenneth Rimm produce? Kenneth Rimm Gallery specializes in fine art photographic archival pigment prints in limited edition – also referred to as inkjet or Giclée prints. Images are photographed on large & medium format film & drum scanned to the highest level of detail, or captured on high end digital cameras. All prints are made to order and printed by, or under supervision of Kenneth Rimm personally on Epson inkjet printers with archival ink, mainly using Hahnemuhle archival fine art papers. Prints are signed & numbered on the back of the image. Framed pieces are signed via label. All prints comes with a signed certificate of authenticity, describing the image and print edition etc. Prices increases as the edition sell. Yes we are happy to help out with bespoke framing, and advice on the right presentation of your prints. 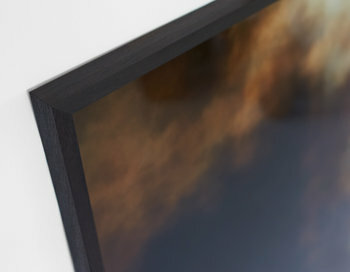 We offer everything from solid wooden custom made frames, to unframed Dibond mounts, or other creative solutions to fit your needs. Please note that framed pieces are non refundable, and are subject to additional shipping fees. All prints are made to order, and will be shipped as quickly as possible, usually within 2 weeks for unframed prints. In some cases due to work pressure, holiday etc, it might take a while longer. In each case we will inform you on the status of you order, and email you when your print has been shipped. We take great care in the packaging and shipping, of our artwork to ensure the print arrive to you in perfect condition. Prints are always inspected prior to shipping, and will be send flat or in a tube, depending on the size of the print. If you have a rush order let us know, and we will do our best to help you. Prices are inclusive of Danish VAT. Kenneth Rimm Gallery is not responsible for, nor can we offer, any advice regarding any customs related fees, that you may incur when shipping outside EU. For further information, please consult with your local government import office. Please contact us, if you have any further questions or concerns.